Holistic medicine promotes the healing philosophy that views the patient as a whole horse, not as just a disease or a collection of symptoms. 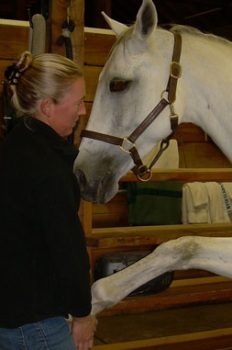 During treatment I address the horse's whole body as well as other factors that can affect health including nutrition, exercise, and living environment. Holistic treatment combines conventional forms of treatment (such as medication and surgery) with natural or alternative treatments.